You'll find plenty of places to visit near Granada: Nerja (Fundación Cueva de Nerja & Balcon de Europa). 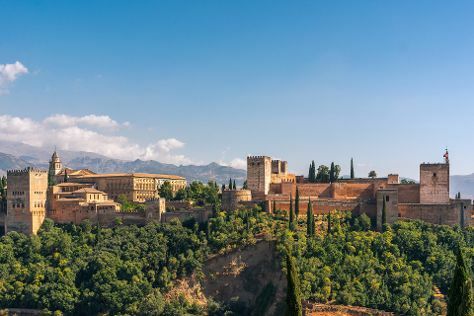 Next up on the itinerary: admire the striking features of Alhambra, make a trip to Plaza de San Nicolas, get to know the fascinating history of Mirador de San Nicolas, and look for gifts at Munira C B. To find where to stay, more things to do, photos, and more tourist information, use the Granada trip itinerary planner. If you are flying in from Philippines, the closest major airports are Málaga Airport, Almería International Airport and Sevilla Airport. In March, plan for daily highs up to 19°C, and evening lows to 5°C. Finish up your sightseeing early on the 29th (Wed) so you can travel back home.